After a long hiatus, Perth’s premiere instrumental pop magicians Apricot Rail are back with a gorgeous new song and music video. As if written to celebrate the start of spring, ‘Scarecrow’ is the sound of empty fields bathed in the early morning sun, buzzing with insects, birds and liminal activity. The song embraces Apricot Rail’s unique sound, featuring syncopated glockenspiel, Casio, melodica, guitars, and even the guzheng (a Chinese stringed instrument), and their inimitable talent for weaving multiple melodies into a shimmering tapestry of songcraft. The track is accompanied by a sumptuous music video by Perth’s Chad Peacock (Peacock Visuals). The track comes from the band’s forthcoming third album, tentatively titled Clock of the Long Now, due for release in April 2017. The track is available as a free download via Apricot Rail’s BandCamp. 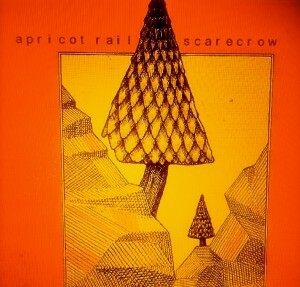 Apricot Rail – Scarecrow from Hidden Shoal on Vimeo.